Hot ’cue in Winter Park. : Hungry fans are drawn to John Rivers’ prized pulled pork, signature beef brisket, ribs and all sorts of sides. Rich slices of Angus brisket, smoked 18 hours with mild-spiced dry rub, win the prize --- but the burnt ends sandwich (which is exactly what it sounds like --- the charred bits from both pork and beef) is a close second. Smoked chicken, sausage, smoked turkey --- Rivers covers it all in the kitchen. More than a dozen sides, such as grilled jalapeños wrapped in bacon, cheese grits, fried pickles, sweet potato casserole and more, add up to your basic Southern extravaganza. If you dare, save room for the banana pudding. 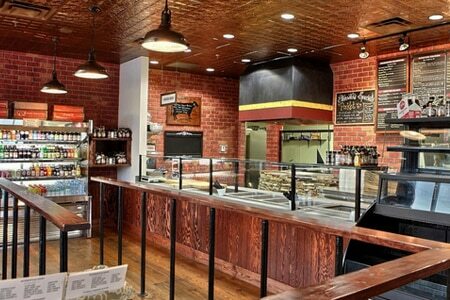 4 Rivers Smokehouse also has The Sweet Shop, an in-house bakery that offers specialty cakes available for online ordering. Best of all, Rivers donates a percentage of proceeds to benefit local charities. Other locations.